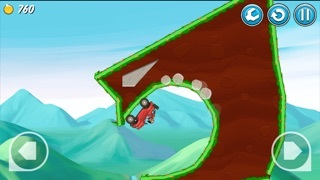 The most addictive physics-based racing game! 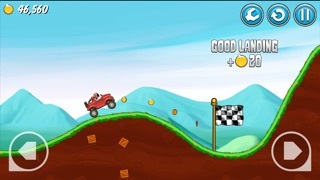 Drive your Monster Truck through amazing tracks, perform tricks on air and be the fastest to get 3 stars! 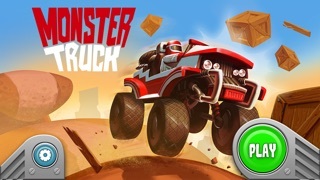 - EASY controls with only 2 buttons - LOTS of VEHICLES to unlock and upgrade - CRAZY jumps and loops - Several worlds and tons of LEVELS. Download it now while it's FREE! Even though I have 5 stars, just 1 thing bothers me. THE GAME NEEDS UPGRADE! 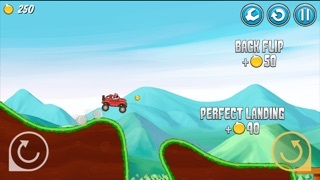 I've completed all of the levels and new ones would be nice, a new car would be as well. But the game as a whole, it is amazing! I just play it more and more to do more, it's hard to stop! An upgrade and a few bug fixes would make this game perfect! Please do an updated version for the new IOS’. My daughter loves this game and cannot play because it is not compatible. We love this game so please please please if you can.....make a compatible version. 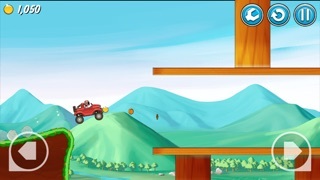 My kids love this game! It is really cute. They haven’t been able to play with it since my iOS update though. Do you think a new update will come out? Or should we just give up on this game? It would be sad, because there is no other game like this. Thank you! Fun but controls are backwards from every other racing game. Uninstall.